“Phantom Thread” is the type of movie that only comes around once or twice a year. The confidence it has in its storytelling — from its calculatedly slow pacing to the unnerving narrative that reveals itself over time — is rarely seen at today’s box office. In what could possibly be the great Daniel Day-Lewis’ (“Lincoln,” “There Will Be Blood”) final performance, the veteran actor gives audiences another layered, complex and contradictory character to mull over long after he’s left the screen. 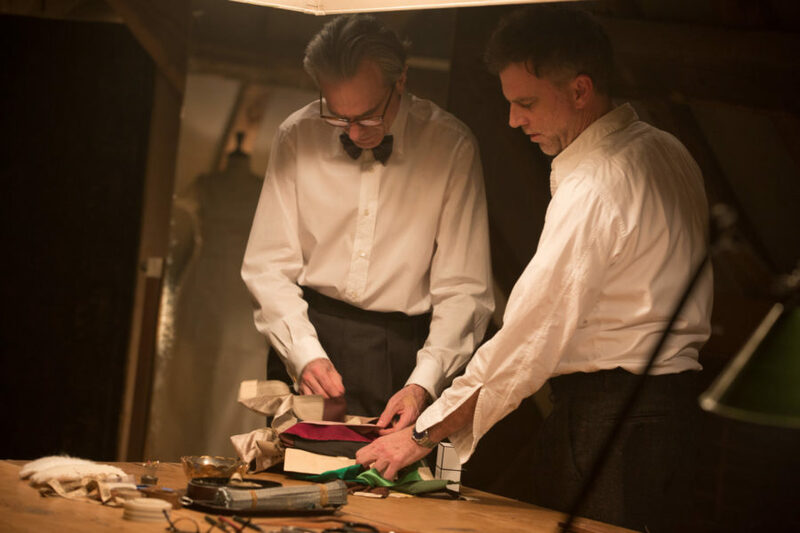 “Phantom Thread” marks the second pairing of Day-Lewis with acclaimed writer-director Paul Thomas Anderson (“The Master,” “Boogie Nights”). Their previous collaboration, “There Will Be Blood” (2007) garnered praise from critics and audiences alike upon release. Despite losing the Best Picture Oscar to “No Country for Old Men” (2007) at the Academy Awards, “There Will Be Blood” was named the best film of the 21st Century by the New York Times in 2017. Expectations were especially high for the pair’s second collaboration after Day-Lewis announced it would be his final film. Set in high-class 1950s London, “Phantom Thread” tells the story of Reynolds Woodcock (Day-Lewis), a renowned dressmaker and easily irritated perfectionist, his stern sister and assistant Cyril (Lesley Manville) and his newest muse and eventual lover, Alma (Vicky Krieps). When Woodcock recruits the introverted Alma to model for his dresses, the two develop a quiet, subdued and increasingly strange romance. Quiet, subdued and strange perfectly describe “Phantom Thread” as a whole. It’s easily among the most mysterious and soft-spoken films of the year. The film opens as a visually gorgeous and elegant period piece. The score from Radiohead’s Jonny Greenwood is nothing short of spectacular. Shifting gracefully from shrieking violins to a dreamy piano progression — it may have just catapulted “Phantom Thread” to be front-runner for an Academy Award this March. Greenwood’s music perfectly captures the essence of the film’s mystery and unusual tonal shifts. Anderson gives Woodcock’s mansion a sophisticated aura, as if the camera itself is afraid to disturb Woodcock’s methodical routine. From his mandatory silent breakfasts to his always-proper demeanor, Woodcock embodies the stereotypical neurotic male genius. However, characters are never quite what they seem on the surface in an Anderson film. The true character dynamic between Woodcock and Alma bubbles beneath the surface of the film for the majority of its runtime. While audiences may believe they are picking up on crucial subtext within certain scenes that would change the narrative, there’s no way to be sure until the film’s stunning (and likely divisive) ending. This is a testament to the expert direction and unwavering confidence of Anderson’s storytelling. His talent as a screenwriter is often overlooked because of his immense skill behind the camera. The clues are placed — the odd looks, the subtle shifts in expression and what’s left unspoken. This sort of filmmaking is a dying breed in modern Hollywood, but it’s commonplace in Anderson’s filmography. He allows his actors to drive his complex, character-driven narratives in a directing style reminiscent of one of his greatest influences, Robert Altman (“Nashville,” “Short Cuts”). 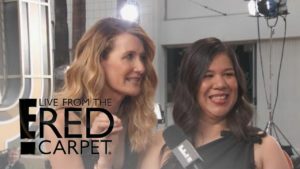 In front of the camera, Day-Lewis is the face of “Phantom Thread.” While he remains his usual towering presence on screen, newcomer Krieps holds her ground against the three-time Oscar winner. She’s fearless in the face of Day-Lewis’ domineering character and elevates “Phantom Thread” as a whole because of it. What some audiences may not expect, however, is the comedic side to the film. More than anything else, “Phantom Thread” is a black comedy — something starkly different from “There Will Be Blood.” Audiences may be surprised to find themselves laughing at a film so peculiar, reserved and at times disturbing. “Phantom Thread” is a film to be cherished amid the modern output of Hollywood, as it’s largely in contrast to everything blockbuster. It’s a twisted romantic comedy that has a lot more to say about today’s gender dynamic than filmgoers might expect. With refreshingly subtle writing and acting, “Phantom Thread” is a film that will likely be studied, dissected and debated for years to come. “Phantom Thread” is currently playing in theaters nationwide.